Reinier is also the co-inventor of several patents on strong authentication. He is a thought leader and public advocate for the continued development of strong authentication technologies. As a public representative of the industry, you can often find Reinier participating in the media and open forums. LegacyArmour is an American founded company which acts as a digital, secure lockbox to aid families and individuals in keeping track of the estate information of their loved ones so they might be claimed by relatives after their passing. With an office in The Hague, the Netherlands to support European customers, LegacyArmour is planning to invest in marketing and sales. The Cyber Peacekeeping Forces are the world's first blockchain based cyber incident reporting platform that will facilitate (inter)national public private partnership among law enforcement agencies, large organisations, SMEs and citizens. The platform streamlines cyber incident reporting, improves reporting time, reduces bureaucracy, saves costs, creates more accurate statistics, aggregates and shares responsibly cyber threat intelligence within a trusted ecosystem and uses the wisdom of the crowd to fight cyber crime. One platform for global privacy needs. Clym is the data privacy platform that helps organisations meet their data protection obligations. Cookies, Consent, Requests, Policies and more are all managed in a secure and adaptive application. Clym helps you collect, control and manage the data that is relevant for your company in a transparent way. The platform covers 6 main areas of compliance, namely: Data consent management, Cookie consent management, Company & DPO data management, Terms, Policies, Agreements & Procedures, Data subjects’ requests, Localisation and Consent receipts. Through all its functionalities, Clym provides a head start in data privacy compliance. Access Hub is a The Hague based company that seeks to redefine security and access control systems. Easy and secure access control system for digital and physical resources without keys and passwords by using only one personal certificate in secure environment. On top of this platform, Access Hub sells subscriptions for several services like Single-Sign-On with no passwords, Dedicated VPN- on-Demand, Secure Files Storage, Private Chat, Secure Remote Desktop. Dehyper is a ground-breaking, revolutionar and scalable IoT solution that is changing the world of interconnectivity. IoT (Internet of Things) is already dominating the world at the moment and it will certainly have an even greater impact on our daily lives in the very near future. This also entails security risks and will most likely also damage our fundamental privacy rights through hacking attempts and attacks. This means safety risks for manufacturers and interconnected infrastructures, but unfortunately also for the end users themselves. To prevent the risks of hacking and to guarantee the security and privacy of all users, Deypher offers an effective solution by protecting the privacy of every IoT device with a unique innovative SDK (Software Development Kit). Precisely because this is an exceptional growth market, the demand only gets bigger and the Dehyper concept is so unique, the company believes the concept will be an exceptional, successful and profitable investment for investors. The key problem DNA Money tris to address is internet-scale trustworthy identity management. Let the users own their data and not the service providers like Google or Apple. Combining biological systems and decentralised trust networks provide a promising solution for the next generation identity management. DNA Money - Building digital trust and accountability for all. 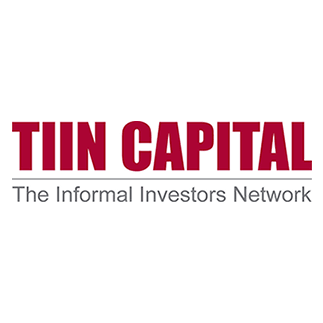 eCAPITAL is an independent German VC fund with a long track record of high tech / deep tech investments since 1999. With our experience as Cybersecurity entrepreneurs and a broad network of technological experts, eCAPITAL has started a new and dedicated Cybersecurity fund (eCAPITAL Cybersecurity), which will invest tickets of 0.5 million euros up to 3 million euros into central European technology start-ups, specializing in the Cybersecurity / Data Security sector. In this area eCAPITAL Cybersecurity will invest 50 million euros. With entrepreneurial roots in digital media, internationalisation and mergers & acquisitions, we support our portfolio companies with operational and strategic expertise. With our €125 million fund launched late 2015, we invest in European scale-ups. Typical initial equity investments are between €3m and €8m and we support companies in potential further equity rounds. We are seeking entrepreneurs heading innovative high growth internet companies with proven recurring scalable business models in cybersecurity, fintech, digital media & marketing, e-commerce or enterprise services. More information can be found on the Endeit website. More than one million people around the world become victims of identity theft every day. The resulting impact of financial losses and emotional consequences can be devastating and long lasting. As a digitally-advanced region, Europe experiences disproportionately elevated attack levels compared to many parts of the world. In fact, since 2015 European cybercrime has risen by 66 per cent. For more information, go to the Experian website. 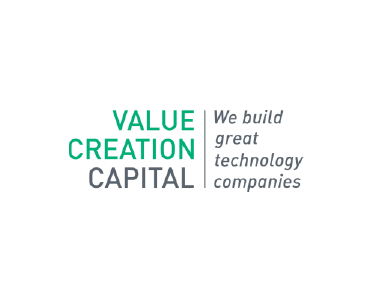 Volta Ventures is a venture capital firm with a focus on seed and early-stage internet and software companies in the Benelux. Visit the website of Volta Ventures for more information. Access to Capital is organized by InnovationQuarter (IQ), Rabobank, Value Creation Capital, TIIN Capital and HSD Office. Please contact Bram Spitzer, [email protected] if you have questions regarding Access to Capital 2018.